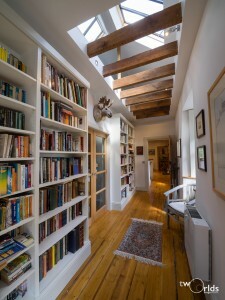 It is an invariant law of the universe that books expand to fill the space allocated to them, plus ten percent. I call this The Bookshelf Constant. You can’t outwit this any more than you can gravity and it is entirely independent of how many books and bookshelves you buy. This I discovered when we bought our first set of bookshelves in 1985: when we got them home, ninety percent of our books fitted, and that only by dint of double stacking: the rest continued to lurk in untidy heaps in inconvenient places. Now these were – and are – cheap, wobbly things from Habitat, as this was BI (Before IKEA – yes, kids, there was such a time) and t’was all we could afford. Intended to be strictly temporary they’re still in use thirty years later, despite their occasional tendency to collapse for no discernible reason – that I blame on quantum fluctuations in L-Space. 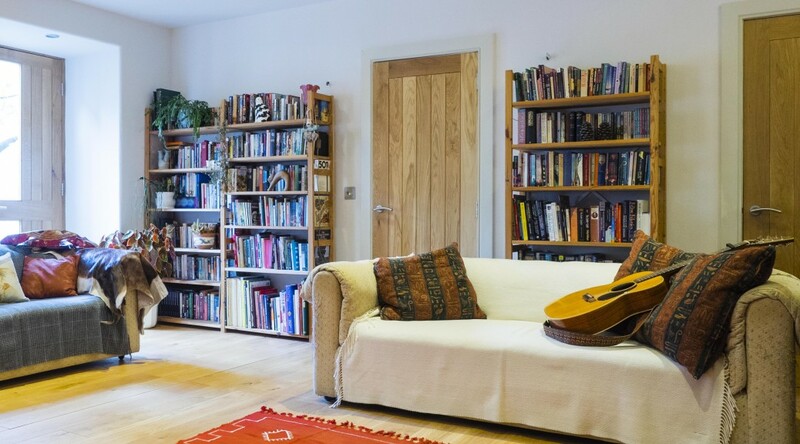 They’ve moved from house to house, gaining a few extra bays and some suspicious stains in the process but the Bookshelf Constant has always been obeyed – any apparent violation is only ever just a short-lived transition state. 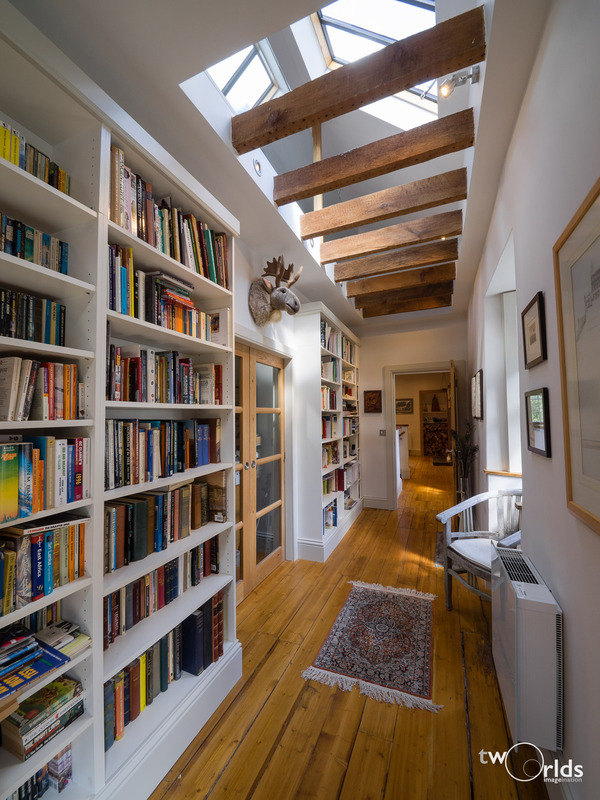 During our recent renovation, I did do my best to beat the universe: we put in a real library, with four floor-to-ceiling bays of bookshelves, plus assorted supplementary bookcases in other rooms – we were going to do away with the old things once and for all. Of course, and despite jumping from 14m to 54m of bookshelf space, the new bookshelves instantly filled to capacity, again double-stacked. Equally predictably the originals are still as full as ever, with no noticeable diminution of the extraneous heaps. But I’m a slow learner and am now trying again, in a triumph of optimism over knowledge. We’re putting in another five sets of shelves, twenty-seven linear metres of new shelving intended to, once and for all, replace the creaky old objects. That’s got to do the job, hasn’t it? Hasn’t it? Footnote: it has been argued that ebooks violate the Bookshelf Constant. Not so – these exist in a parallel dimension where the First Corollary to the Bookshelf Constant defines an inverse relationship between the number of pages left to read and the remaining battery life of your reader.